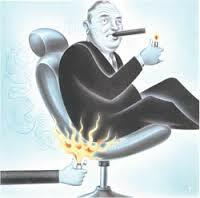 It’s impossible to read a newspaper, magazine or blog, or watch the news without hearing about shareholder activism. It’s an industry unto itself with activist funds, attorneys who represent activists, activist defense lawyers, activist-focused investment bankers, activist conferences, activist newsletters, activist databases, and, of course, there are Messrs. Bebchuk and Lipton. Four articles worth reading are linked below. Lucian Bebchuk’s op-ed discusses the recent ruling by the Delaware courts that corporate boards may use a “poison pill” to block a takeover bid from being considered by shareholders for as long as the board deems warranted. The decision is a triumph for the poison pill and antitakeover defenses but represents a setback for investors and the capital markets. The piece explains the substantial costs imposed on investors and the market for corporate control by the expansive freedom boards enjoy to block takeover bids. Bebchuk argues that institutional investors should seek to ensure that public firms self-commit not to block an offer favored by shareowners for too long by removing any classified boards in place. Doing so would produce considerable benefits for investors and capital markets. while investors can no longer profit by basing their trading decisions on standard anti-takeover provisions, our findings leave open the possibility that an investment strategy based on other features of corporate governance might be worthwhile. Thus, managements should not dismiss governance reforms that are potentially valuable, but that investors are not yet focused on, and that markets do not yet price. via Pricing Corporate Governance by Lucian Bebchuk – Project Syndicate. 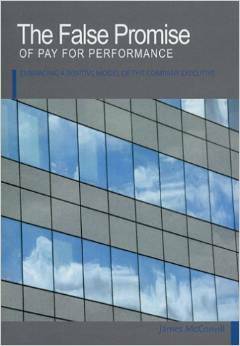 Many, including this reviewer, called Bebchuk and Fried’s Pay without Performance: The Unfulfilled Promise of Executive Compensation the best corporate governance book of 2004. James McConvill’s The False Promise of Pay for Performance: Embracing a Postive Model of the Company Executive, largely a critique of Pay Without Performance, deserves similar attention.